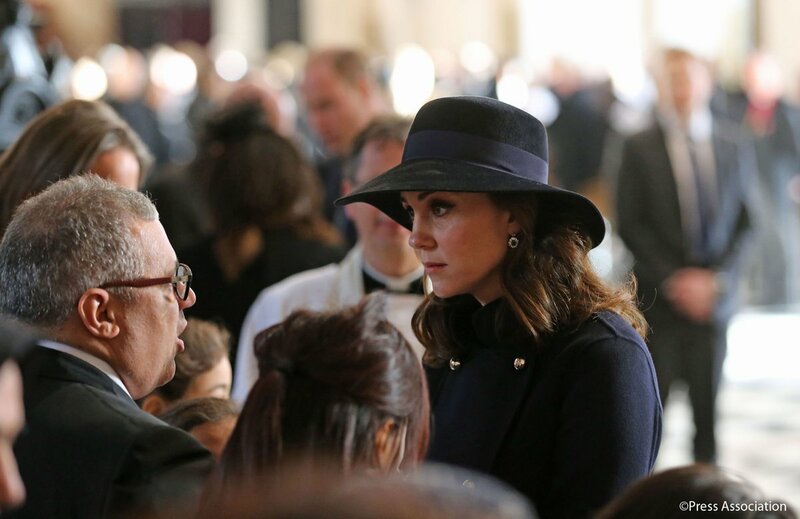 On Sunday morning, The Duchess of Cambridge attended the National Memorial Service held in the tribute of Grenfell Tower victims at St Paul’s Cathedral. Duchess joined Prince Charles of Wales, Duchess of Cornwall, Prince William and Prince Harry for the somber morning. The service was held to pay tribute to those who lost their lives in the horrific fire 6 months ago. More than 1,500 people attended the service today out of which around half were bereaved families and survivors while the other half included members of the wider community, volunteers and first responders. The Duke and Duchess of Cambridge arriving at the Cathedral along with Prince Harry. 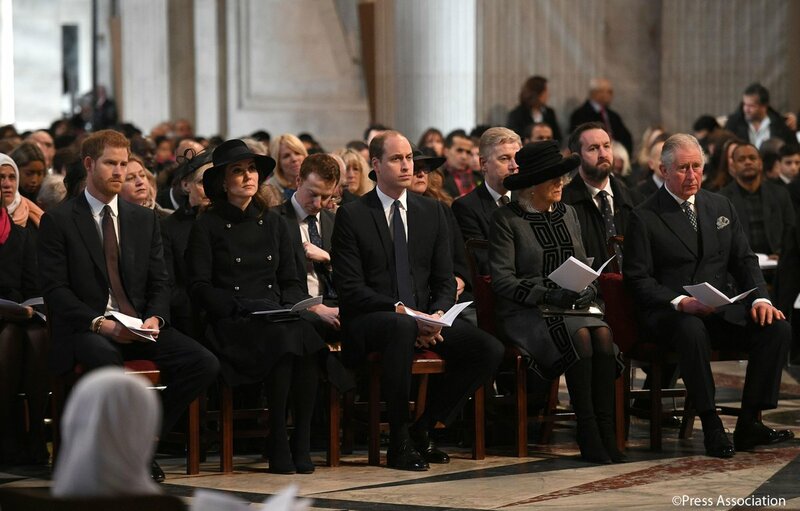 Royal Family during the service. The congregation bowed their heads and observed a moment’s silence. The royal family members walked from the dome to the western end of the Cathedral before leaving where they met bereaved families. For the heartfelt morning, Duchess Catherine chose a very somber navy look. 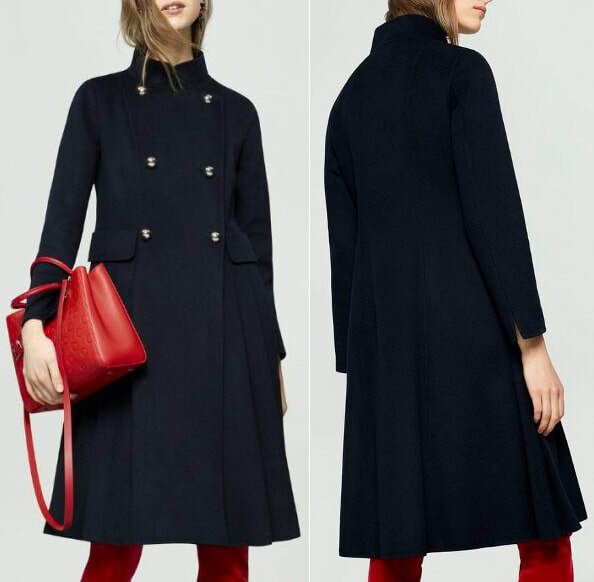 Duchess wore a new navy wool coat by Carolina Herrera. The double breasted coat in double-faced wool features golden buttons and pleated skirt and is finished with a raised collar and two flap pockets. 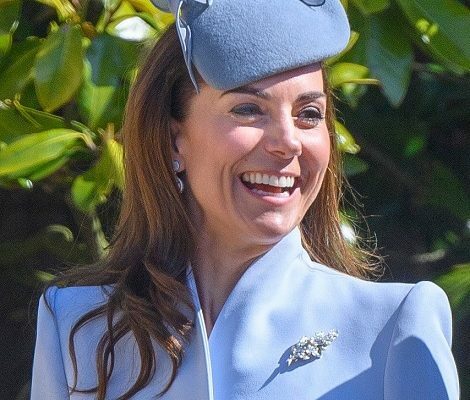 Duchess paired the coat with a matching navy hat. 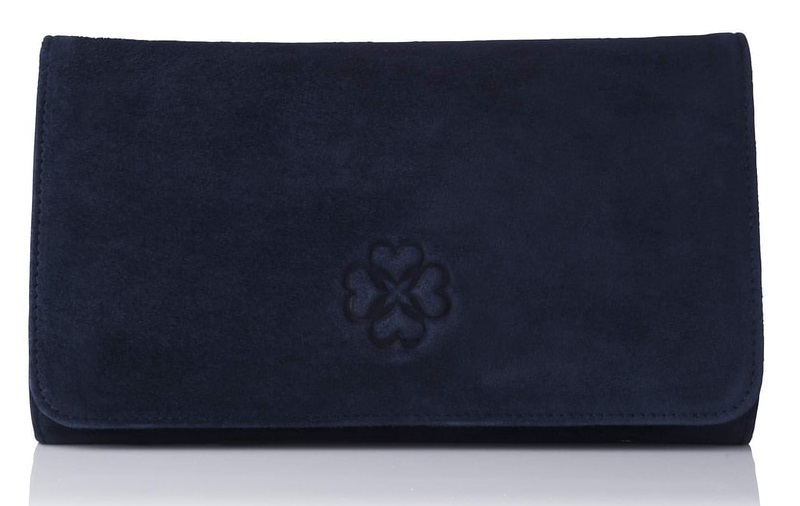 She carried LK Bennett ‘Frome’ Navy Suede Clutch. On her feet Kate wore her navy Jimmy Choo ‘Georgia’ suede pumps. 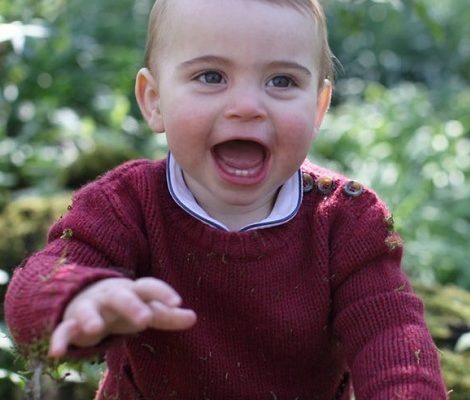 Duchess was seen wearing matching gloves in navy blue that are yet to be identified. Sapphire and diamond drop Diana earrings finished the look.